Have a fun and safe NYE! It’s been a year since we started blogging about bike culture and biking related issues in San Francisco and now Oakland. We can’t believe how fast the time rolled by! We want to wish all of you fun and safe NYE celebrations and an awesome New Year! 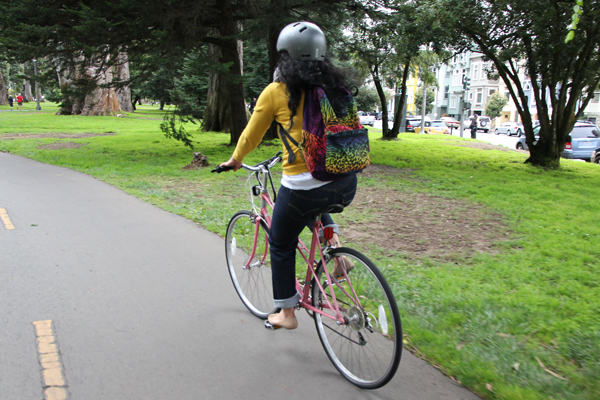 We look forward to sharing more about biking in Oakland and SF in 2014! 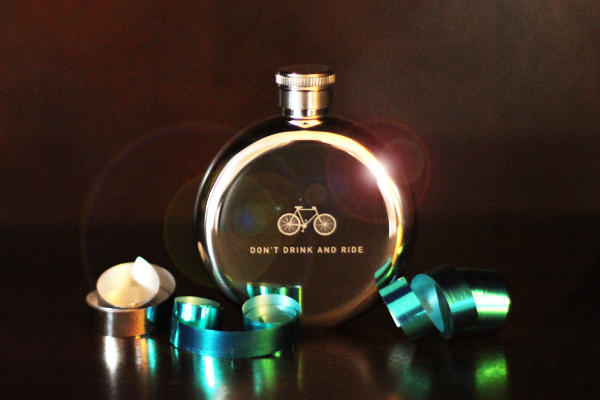 Here’s to a great year ahead on two wheels! Bike counter on Market Street on a Sunday afternoon. 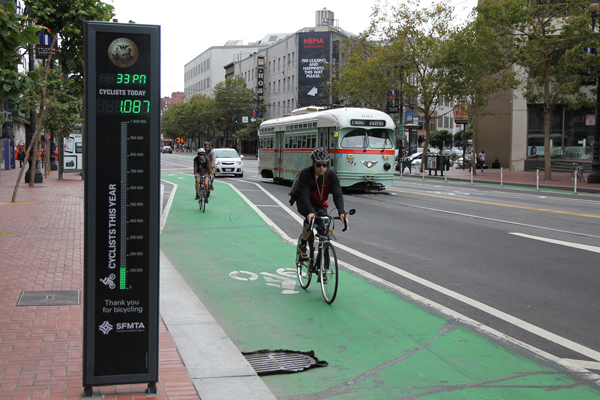 SF’s very own bicycle counter Eco Counter was unveiled on Bike to Work Day which was May 9th of this year. It was a perfect day to celebrate biking to work with the counter running. For those of you who don’t know what’s the point of having a bike counter- well, it’s the same thing as doing a survey/poll. After data collection, Market Street may be justified in getting more bike infrastructure investment (crossing fingers) and a traffic mobility reassessment. Plus, it’s cool to see the numbers increase in real-time for all those bicycle boosters and data geeks out there. 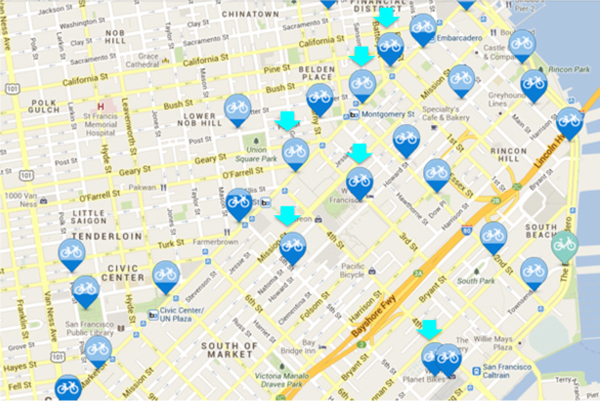 Location of the bike counter. Image courtesy of Google Maps. 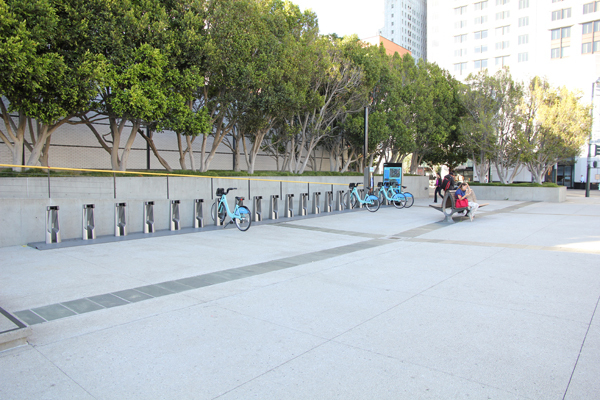 The bicycle counter is located on the south side of Market St. between 9th and 10th Sts. to count bicyclists heading eastbound. 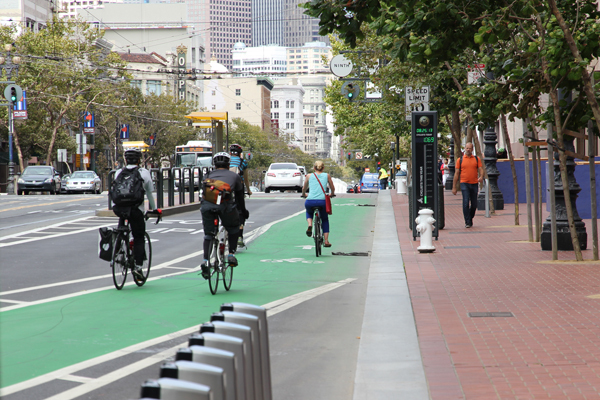 Market Street has the highest amount of bicycle traffic in San Francisco, so it’s a no brainer to have it there. 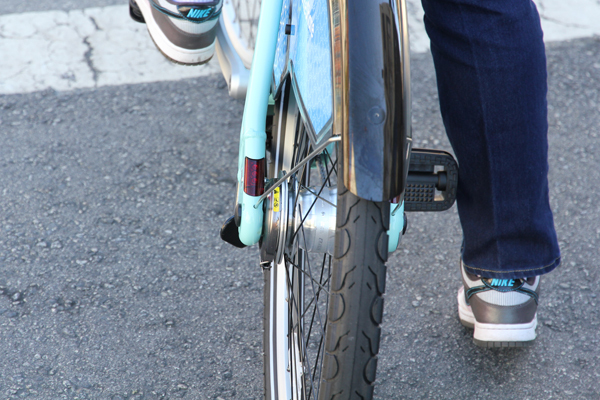 SF boasted an increase of 71% in bicyclist counts between 2006 and 2010. 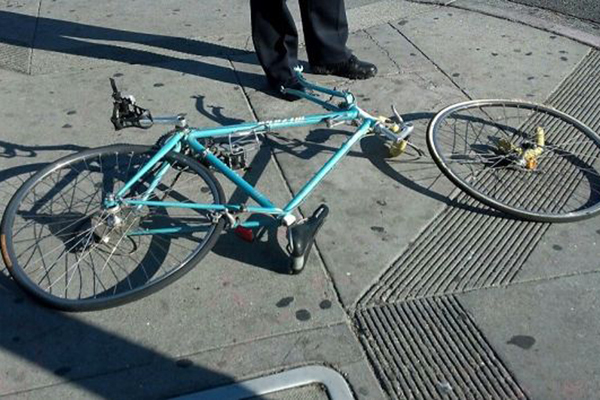 Unfortunately, in the last 5 years SF saw the same rate in bicycle theft. These two data sets sort of correlate with each other. Additionally, bicycle trips account for 3.5% of all trips in 2010, an increase from 2% in the year 2000. But have these numbers gone up since 2010? I am still waiting and eager to see data showing that jump because everywhere I ride, I see a lot more bicyclists. But it’s also possible that the percentage of trips made by bicycle remained the same even as the number of bicycle trips went up, because it also seems like there has been a large uptick in car trips (and congestion) which many have observed in the city. So after accounting for that, the percentage of bike trips may sadly still remain at 3.5%. 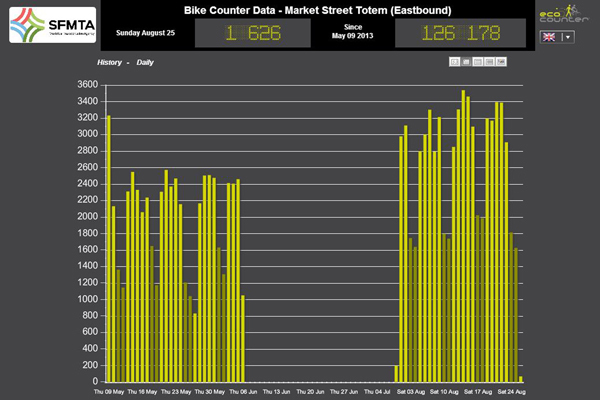 Data collected from bike counter since May 9. 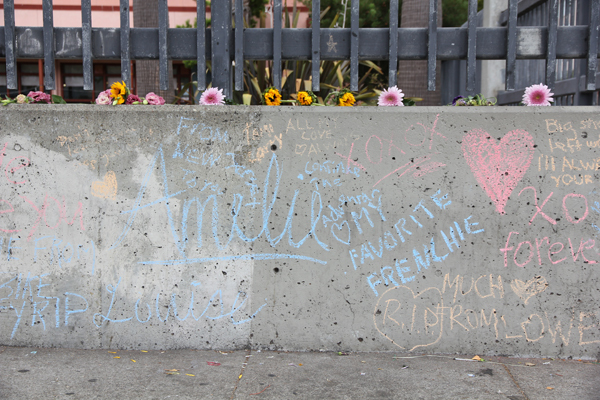 Image courtesy of SFMTA. First, the counter only collects data on Market St. and possibly has some glitches. 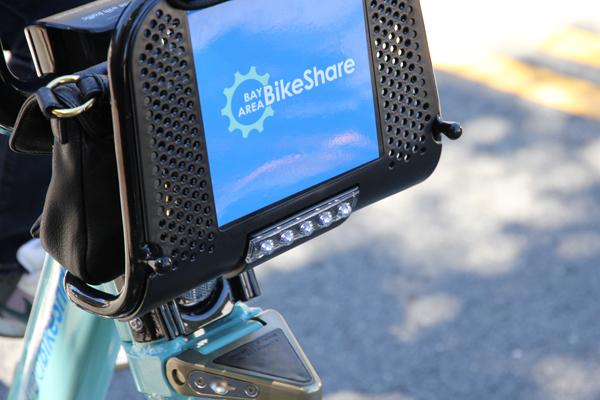 It’s been reported that not every bicyclist gets counted, that vehicles are sometimes counted, and that there’s a 5% error rate (source). 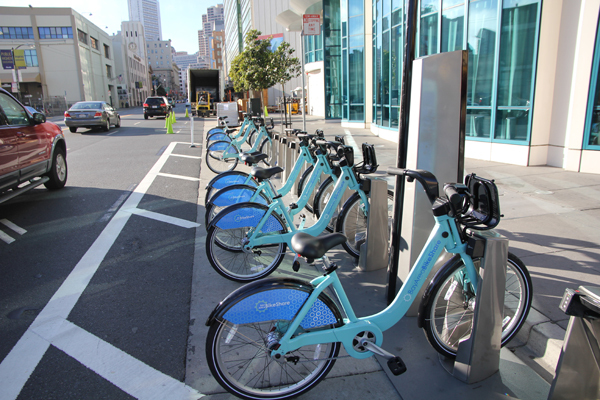 Nevertheless, according to the bike counter posted on the SFMTA’s website, the number of bicyclists that were registered has jumped from an average of 2,032 per day in May to 2,715 in August (excluding outliers) within 4 months. Although the number of daily riders is small, that’s a 25% increase! In addition, the August weekday count of 3,132 almost tied with Bike to Work Day’s count of 3,231 which is incredible! Many people that came out to ride for BTWD are not regular bicycle commuters and perhaps now, these occasional riders have become regulars! The increase could have also been due to the warmer months. But I doubt it has much to do with that because the climate in SF is pretty mild all year round, and it’s been especially warm throughout this year so far. You’ll notice that there is no data for the months of June and July. It’s possible that when the counter was shut down for the Market St. repaving back in June, the counter was also re-calibrated and fine-tuned (we don’t know for sure) affecting the counts for May. So the count could have already been at the same level as in August and there might not have been an actual increase. It’s too bad that during the months of June and July, there was no data input. If it wasn’t turned off for the re-pavement, it would have told us more about the change. For example, a slow increase would confirm the 25% increase from May to August. If there really was an increase, it would be great to see it continue in this upward trend. Maybe this road will soon eventually outdo Portland’s Hawthorne Bridge as the busiest bicycle corridor in the nation. 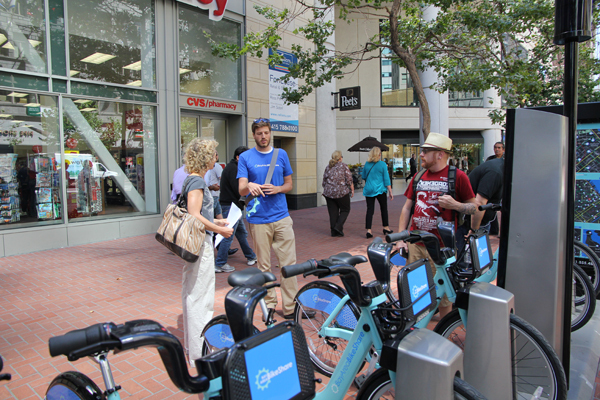 One of nine bike share stations on Market St. next to the bike counter. 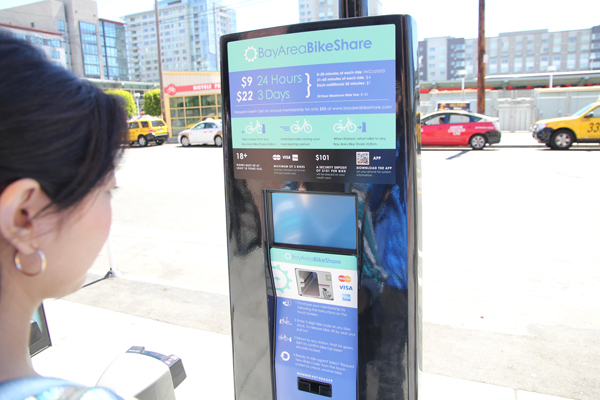 Bay Area Bike Share will launch on Thursday, 8/29. I have ridden most if not all of SF major streets and they always require my full attention. When you are riding into a major intersection, you have no protection. The only protection you have are the red traffic lights on either side of you. You hope that the stacked cars on both sides are aware of the red lights or the car next to you doesn’t right-hook you. You feel almost naked and you need to hurry across. What a scary moment. You aren’t over-analyzing in these situations because almost 50% of all crashes happen at intersections in urban areas. Most of these accidents involve motorist-pedestrian and motorist-bicyclist, and of course they usually result in fatal injuries. In addition, 3 of the 5 most dangerous intersections in San Francisco for cyclists are located on Market St., a major corridor for all modes of transportation. Market St. and Octavia Blvd. (Westbound). Image courtesy of Google Maps. 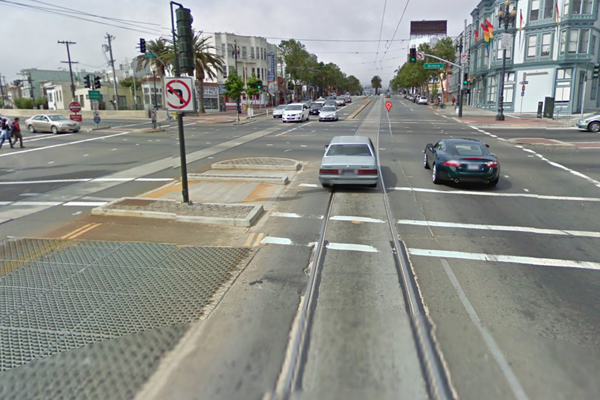 The most dangerous intersection in the city is at Market St. and Octavia Blvd. which had 10 pedestrian or cyclist accidents last year. The reason is that there’s a wide 101/80 freeway ramp to the left with very heavy traffic. Market St. and bike path on the right. Image courtesy of Google Maps. At the bottom right corner (see image above) is a bicycle path and that is where drivers make illegal right turns onto the freeway ignoring the no left turn sign and concrete island, resulting in many pedestrians/bicyclists crashes. In April of this year, a couple of green bike sharrows were installed here. A nice improvement but it is not visible enough to motorists. Green crossing also needs to be installed on the opposite side of the street. Recently, a red light camera was approved to be installed there as well. I hope these measures will help. Bicyclists are as vulnerable as pedestrians and pedestrians get crosswalks, but I don’t see why bicyclists do not get their own “crossbikes”? Even better if crossbikes come with their own traffic lights, but that is wishful thinking. Market St. and Van Ness Ave. Image courtesy of Google Maps. 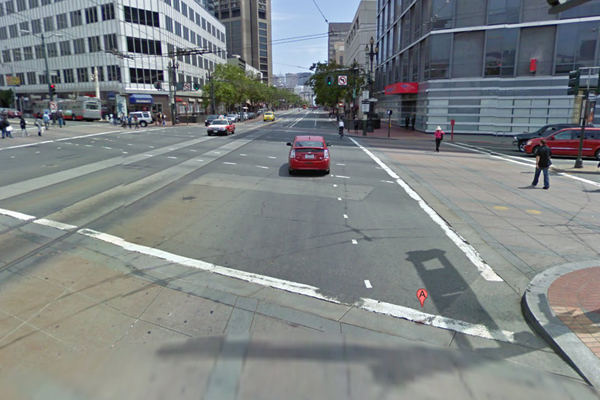 Let’s take a look at another major intersection on Market St. 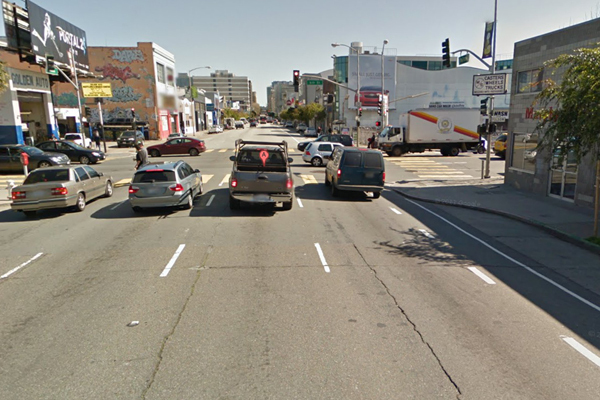 This stretch has 6 car lanes, while Van Ness Ave. (cross street) has up to 7 car lanes and again leads to the 101 freeway a few blocks away. So by any definition, this is another dangerous intersection for cyclists. 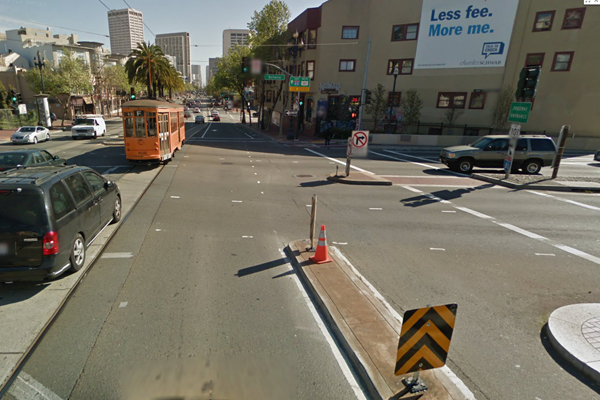 This section has a green protected bike path on Market St. and it disappears for a long distance of 75 ft./23 m. You feel safe until you enter into this no man’s zone. SFMTA is not going to install bicycle traffic lights anytime soon, SFPD doesn’t enforce traffic violations, and red-light camera installations require a lot of money and state approval. So what would be a simple and cost-effective measure to implement? Similar to the concept of green painted bike lanes- cyclists need to maximize their visibility on the roads. Look to Copenhagen for that easy fix. All you need is paint and a bike stencil. No parking removal, road dieting or traffic reconfiguration to worry about- and you wonder why the SFMTA still hasn’t implemented this in all major intersections. H. C. Andersons Blvd and Vester Farimagsgade intersection in Copenhagen. Image courtesty of Google Maps. H. C. Andersons Blvd (west to east), a 10 lane boulevard intersecting a 5 lane street, is a huge crossing in Copenhagen. It is common to see blue paint “crossbikes” at large intersections such as these. 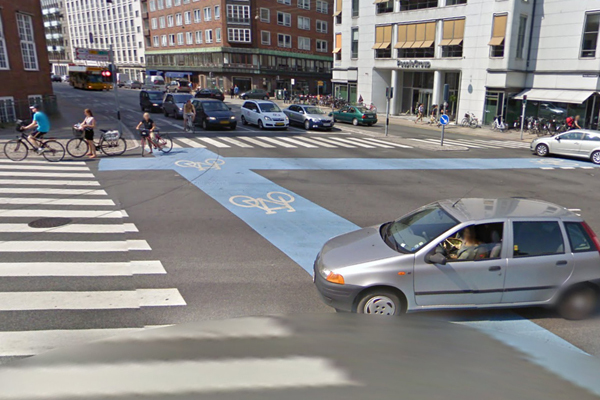 Would you feel safer riding through this intersection with blue paint the entire way through? Dunsmuir St. and Seymour St. in Vancouver BC. 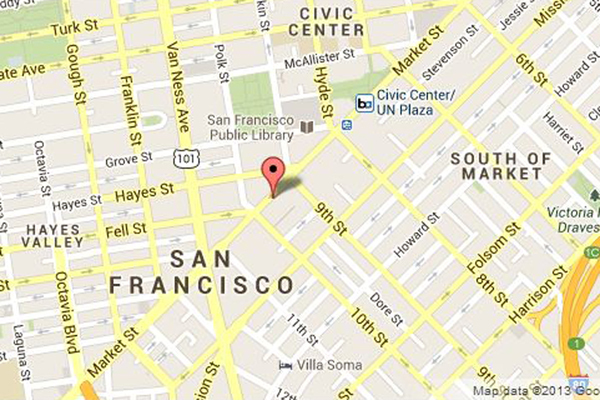 Image courtesy of Google Maps. If you don’t believe this measure could work because it is in Europe. Well here is an example closer to home: A 2-hour plane flight north of us, Vancouver, Canada is doing this exact thing. 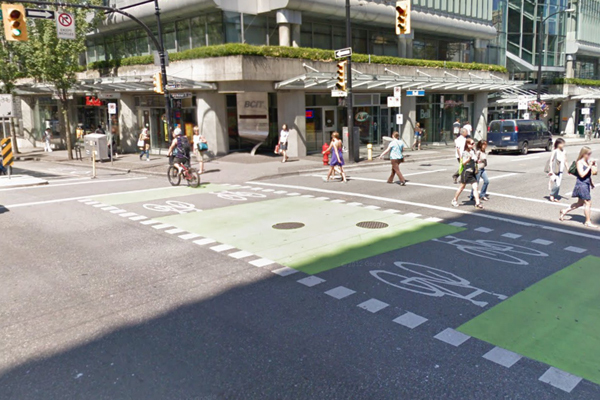 On Dunsmuir St., it has a true bi-directional cycle track and when it meets a wide cross street such as Seymour St. (image above), a green “crossbike” is marked at the intersection. This green paint is to alert drivers to pay attention to bicyclists and the green marking also guides bicyclists through safely. This measure also makes pedestrians safer. This is a cost-effective safety measure to implement and I hope the SFMTA is working to install these on every intersection with a wide crossing. I thought about how the street-scape of San Francisco can be not very interesting to look at especially when riding on a bicycle with full view and senses. Have you noticed that the colors of most of the vehicles resemble the same colors as the cement-paved sidewalks and the gray and dark colored asphalt on the road? Pretty dull right? It also doesn’t help that every street is filled with rows and rows of parked cars. Even MUNI buses and light rail trains feature in the same boring gray color. Although, I do enjoy looking at the vintage streetcars, they are not that ubiquitous around SF. If the sidewalks are not paved with large square slabs of concrete (boring), it is paved with somber dark red bricks like those you can find on the sidewalks of Market St. Moreover, most of the building layouts are too perfectly rectangular and square and not made to human scale. Not pleasantly stimulating. Not to mention, this city needs more trees… large lush ones. And what about flowers? I think our city is beautiful but where are the flowers to complement it. Nonetheless, we do have beautiful views of the water and the rolling hills, but that depends upon where you are. 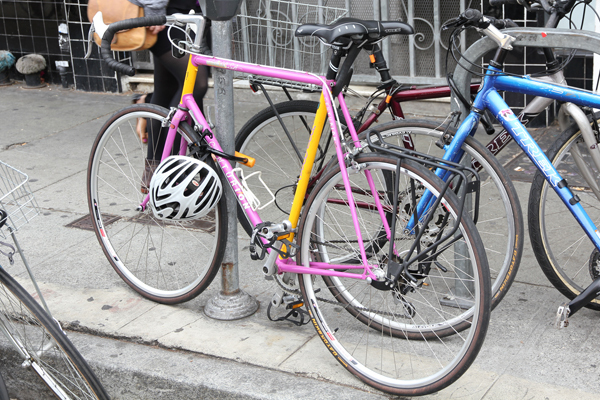 So, I thought I would try to seek out some bright-colored bikes in SF, being that this blog is about bikes. 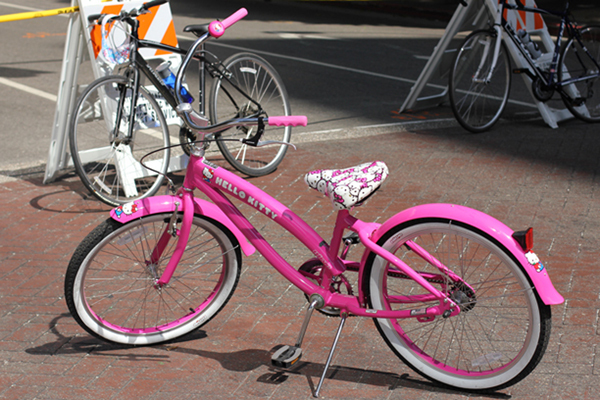 I chose pink bikes because it is difficult to spot anything pink these days besides dresses for bride’s maids and clothing for baby girls. That sort of stuff you know. 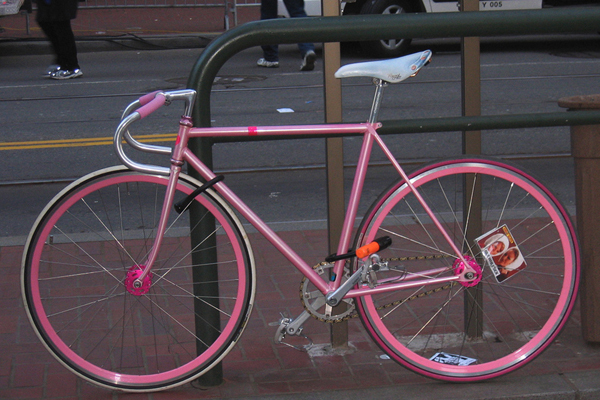 By sharing images of pink bikes maybe it can help more people visualize how pink would look on bikes; and if someone could see how cool pink is for a bike, they might have the courage to buy not just a pink bike but more colorful bikes in general. Hopefully, with enough of them on the streets, it would make the street-scape a little more colorful and interesting to ride in. I am not just talking about pink Hello Kitty bikes. That would be too expected. 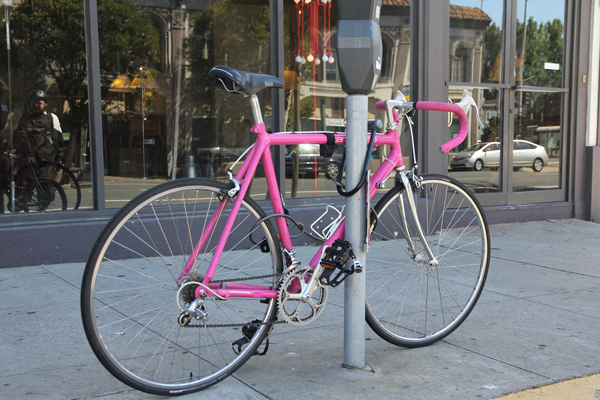 The pink bar tape matches the beautifully welded pink aluminum frame. White and pink complement each other. I have seen a couple of these PUBLIC step-through bikes around town. Lovely! 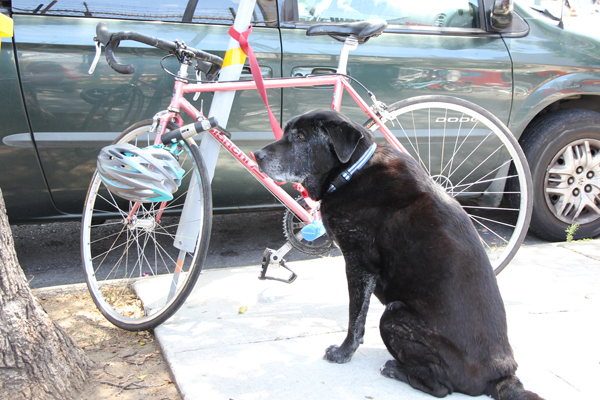 I think the dog wants to run with this cool looking pink Bianchi vintage steel bike. 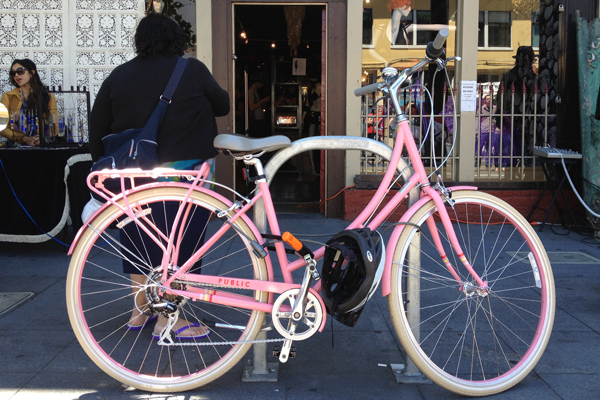 I love Mixte frames, even better in pink color! 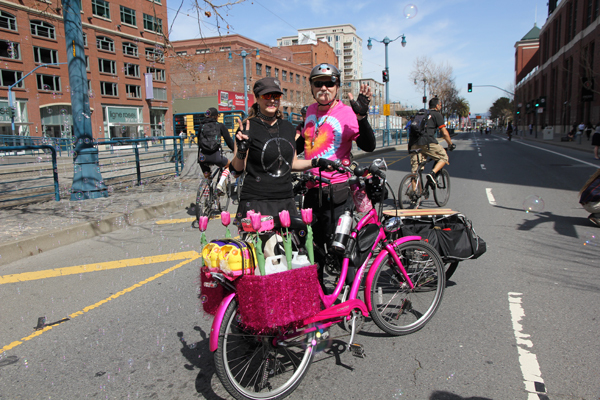 You could see this pink Townie blowing out bubbles at every social bike event in the city. 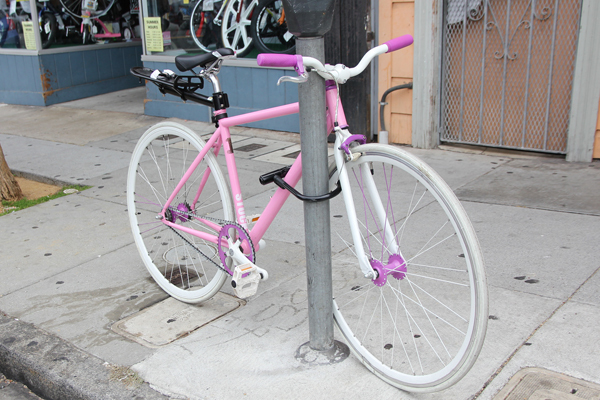 This is probably the best looking fixie in San Francisco. 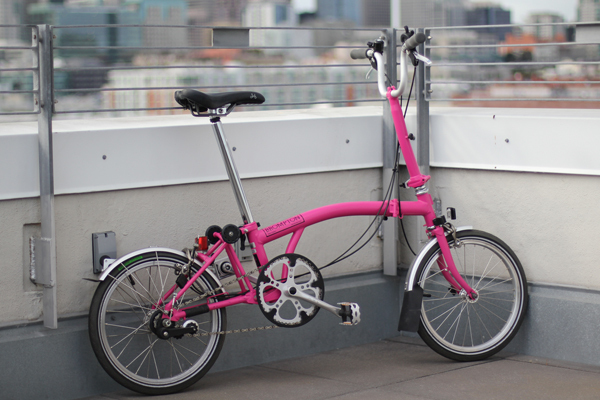 And pink can also look good on a Brompton folding bike. It is pink and definitely hot! Be bold and choose pink! 2014 Bruno 20. Image courtesy of Bruno Bikes. 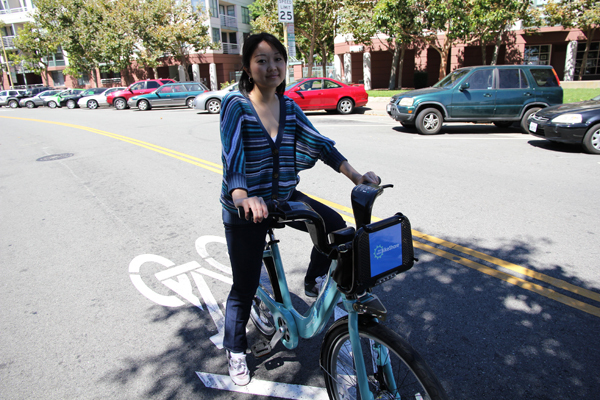 In a past post, I discussed how e-bikes can assist people who live on San Francisco hills and that there is a variety of different styles for just about anybody. Now I want to introduce you to the “mini velo” which I think can be another perfect city bike for SF. These mini bikes are very popular in Japan, South Korea, and some other Asian countries. You can see in this video which mini velo and folding bikes are celebrated in this annual event in Japan. They are popular there because their living spaces are small, the urban environment is very dense, and their people tend to be more petite and have a smaller stature. But I don’t think having a smaller stature has that much to do with riding these mini bikes because folding bikes (sometimes even smaller than the mini velo) are pretty popular with all demographics around the world. 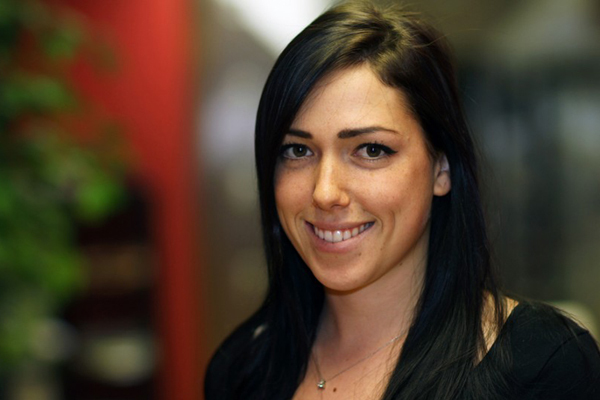 Moreover, many frame sizes vary from 47 cm to 55 cm, big enough to fit a 6 footer. SOMA Fab Mini Velo. Image courtesy of SOMA Fab. I have tested two mini velo bikes- one from SOMA Fab and another called Mercier Nano. Both are extremely fun, comfortable, and shifting with their retro shifters was simple. They are zippy and can stop on a dime. A friend of mine commutes to work with the Mercier Nano about 12 miles one way and occasionally takes public transit with it. 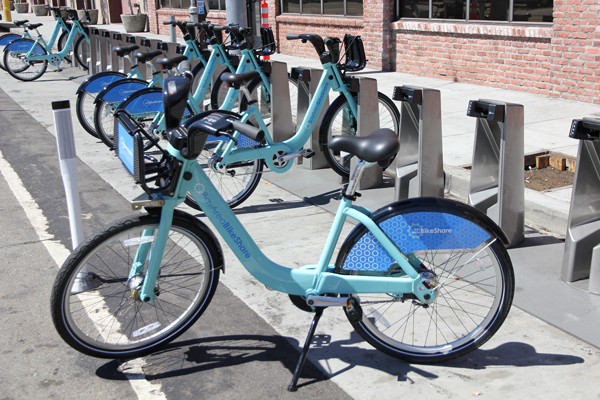 Because the bike is smaller than a standard bike, they are easier to take onto transit. This bike is very affordable at just under $300 USD from bikesdirect.com. Soma Fab mini velo size relative to Bike Friday and Fuji Absolute. Image courtesy of Kevin Bjorke’s Flickr page. You might ask, “Why not get a folding bike instead of a mini velo?” The difference is very apparent. 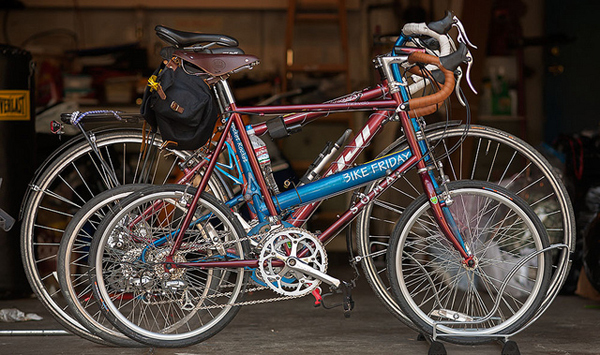 Many folding bikes also come with 20″ wheels identical to mini velo’s, but the difference lies within the frame. Because mini velo is not foldable (no break in the frame and neck) they don’t flex. Rather it’s pretty stiff and it gives you a softer bounce when going over bumps. When you are climbing hills or riding over long distances, folding bikes start to flex more than you would like. Secondly, the handlebar is of the same width as a regular sized one so it’s more comfortable and easier to handle than a folder. Finally, the drivetrain components are of the same as a 700c bikes. This may explain why I feel like the mini velo rides closer to a regular bike than a folding bike. They are lighter than folding bikes too, another advantage. Because many of the components are identical to a regular size bike, you can obtain it at most bike shops or online stores. Accessories are similar too. For example, you can mount a Wald basket on the SOMA Fab Mini Velo. And yes, they are cheaper than average folding bikes as well as regular size bikes. Because they are in the low 20 lbs (9.1 kg) and under 4.5 ft (140 cm) long, they are easy to carry up stairs, turn corners through narrow hallways and can probably fit into the space next to your apartment door. On a crowded train such as the BART, you needn’t be afraid of hitting your fellow passenger with it. 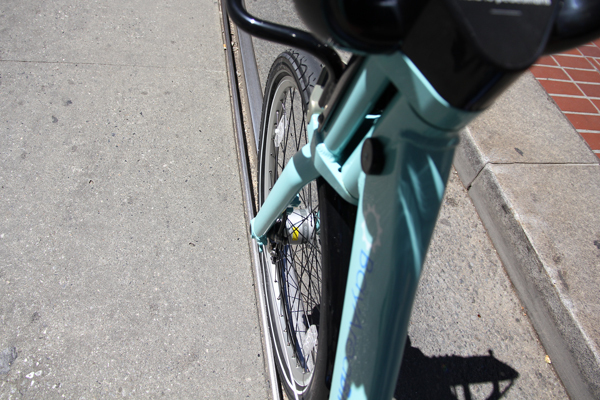 Don’t worry about the front rack of a MUNI bus because it can accommodate 20″ wheel bikes. And with the front wheel off (install quick release skewer if it doesn’t come with one), it will fit nicely in a trunk of a moderate-sized car. 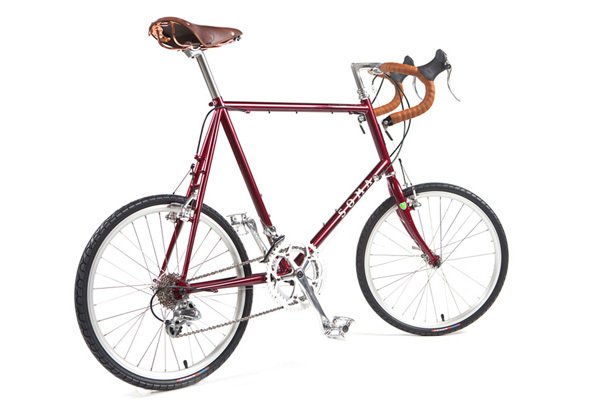 The only thing people may feel adverse to about the mini velo is the awkward geometry of the frame, but I am sure that feeling will go away once people see it more frequently and get used its looks. I now find it to be very cute with a few retro elements thrown in like the frame, the quill stem, and the shifters. As I have researched to find them here in the States, I found only four brands that are available here: SOMA Fab (discontinued, 2014), Mercier Nano, Biria, and Big Shot. Big Shot makes them for bike polo. I think it’s a great bike for the sport. I hope they do become more popular so there will be more different brands offered here. 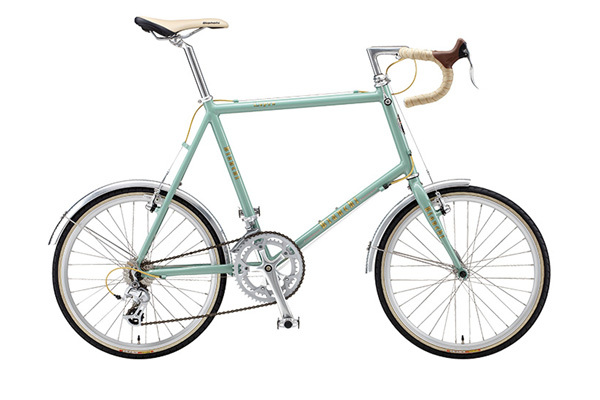 MiniVelo-10 from Bianchi. 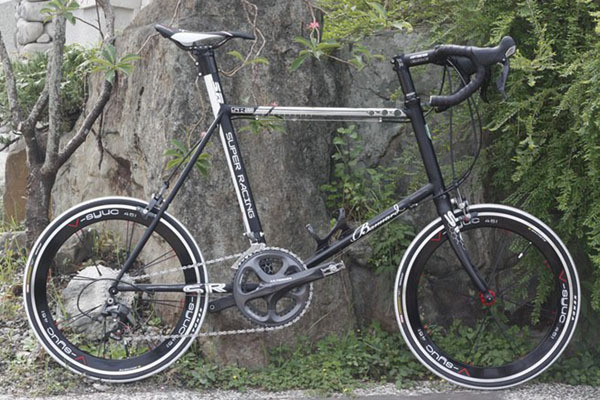 Image courtesy of CyclEurope Japan. Celeste green chromoly frame with 16 spds from Bianchi. It weighs in at 23 lbs (10.8 kg) and costs about $640 USD. Montebello mini velo. Image courtesy of Rakuten Global Market. 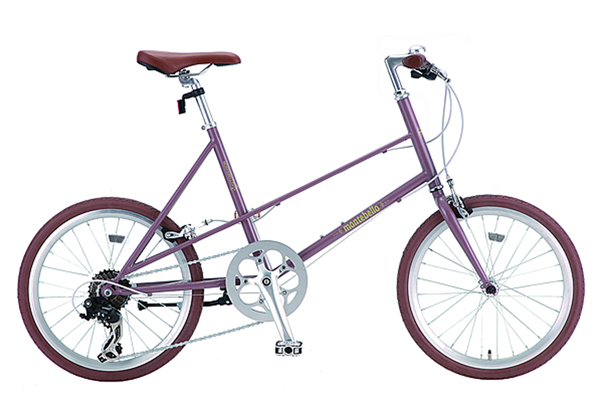 This classic purple mini velo with Mixte frame from Montebello costs about $305 USD at Rakuten Global Market. Fuji Comet. Image courtesy of Rakuten Global Market. This is a cute one. 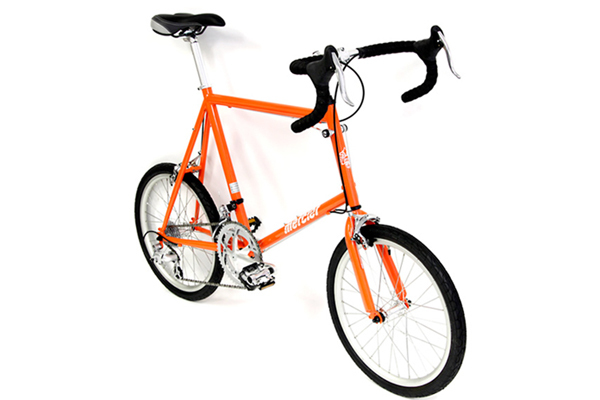 It comes in pretty small sizes at 47 cm and 50 cm Tange frameset with 3 speeds internal hub at $545 USD. 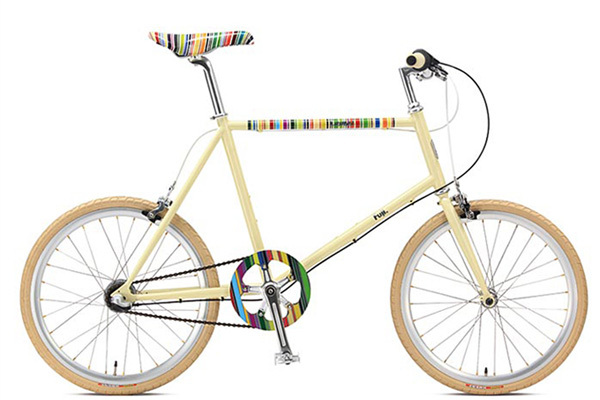 Swiss brand Bruno mini velo. Image courtesy of Ischtar blog. The one above is a 2013 pink Bruno 20 designed by the Swiss. It comes with sizes from 47 cm to 54 cm and 16 speeds for $750 USD. If you like pastel colors, this brand has them. GIOS Panto. Image courtesy of GIOS Italy. 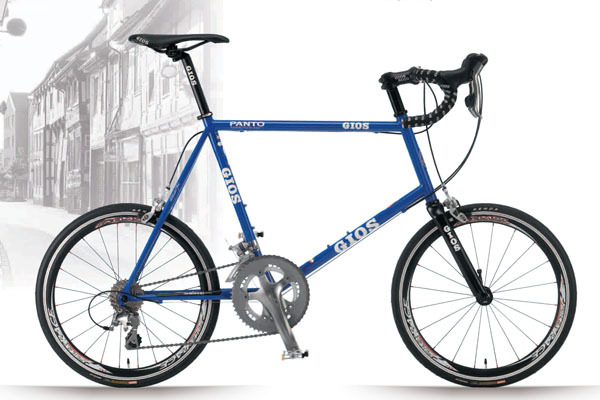 GIOS Panto is a mini replica of a road bike. It comes with Shimano Tiagra, chromoly frame with carbon fork and 18 speeds. It’s too bad it still weighs in at 21 lbs (9.7 kg) and comes in small sizes of 48 cm and 51 cm. Who says mini velos are cute looking only? The one above is pretty mean looking. Unfortunately, I can’t seem to find any info on it (Bannard Poseidon, updated 6/14/14). Well, I hope you consider one when you are looking for a new city bike.